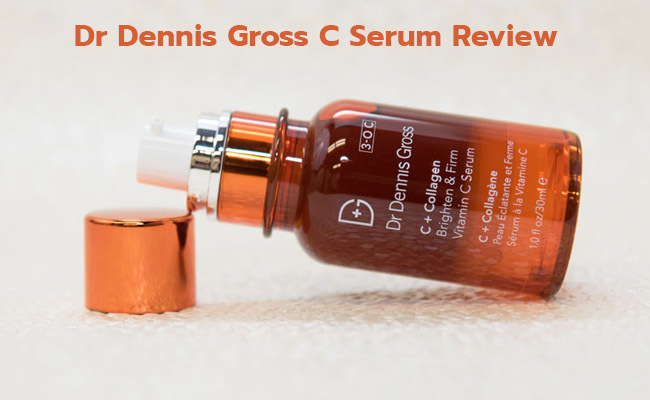 Is Dr Dennis Gross C+ Collagen Brighten Serum a solution for all? What are the best parts about the serum? And does it have any flaws? What’s our final thought on the serum? 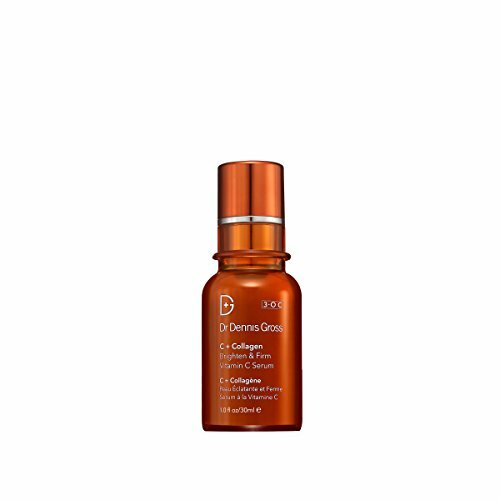 If you’re all tired from always looking for a good serum to whiten any dark spots or acne scars from your skin, give it a try with the Dr Dennis Gross C+ Collagen Brighten + Firm Vitamin C Serum. Helping with evening the skin tone, and also smoothing the fine lines and wrinkles, the serum works for oily, dry, combination and sensitive skin so it’s a valid choice for most out there. The serum gives your skin back its elasticity and firmness and is easily absorbed into the skin. It’s made with collagen amino acids, vitamin C and improves the skin complexion, making it look younger and healthier. Great for eliminating dullness from your skin, the serum is a solution for anyone willing to pay the extra buck too. Not only the serum is loaded with vitamin C, but it’s also based on coQ10 (ubiquinone), carnitine, niacin amide and superoxide dismutase- all ingredients that fade out dark spots and minimize fine lines and wrinkles. Lactic acid- softens and brightens skin, while smoothing the fine lines and wrinkles. It improves the appearance of skin and fades out pigmentation and acne scars. It takes oiliness and acne under control and sustains the collagen production. It evens out your skin tone and brightens skin. Citric acid- unclogs pores and is great for the acne-prone skin. It minimizes wrinkles and whitens dark spots, evening the skin tone. Niacin amide- helps the skin look better and evener. It smooths out the fine lines and wrinkles, giving a fresher feel and dull-free to your skin. It hydrates and moisturizes the skin. Ubiquinone(CoQ10)- has anti-aging abilities and speeds up the collagen production. It improves the elasticity of skin. Curcuma root extract- has anti-inflammatory abilities and minimizes the risk for developing skin cancer. It calms symptoms and alleviates in various skin conditions: rosacea, eczema, psoriasis and many more. It sustains healing of damaged skin and corrects the oily skin. It also has anti-aging properties. Not only the formula includes several whitening ingredients, but also it doesn’t include parabens or phthalates. It’s a vegan serum that gives immediate results for most skin types. Many use the serum twice a day. A little goes a long way so the serum is going to get you good for a good amount of time, even with twice a day use. Massage only one or two pumps onto your clean and dry face, neck and décolleté. Lightweight, the serum glides easy onto the skin and is easily absorbed into the skin. It’s practically invisible under your typical moisturizer. Its sanitary pump is easy to use and the serum doesn’t lose its proprieties after opening it. One may notice its scent, but not in a good way. However, smell is a personal matter so we sit on the fence when it comes to the smell. Nevertheless, the smell fades away fast from your skin so you can very well follow it with other cosmetic products. It’s not going to take long until you notice the serum clearing breakouts and controlling T-zone of your skin. It works fast and brightens skin, leaving it healthier and younger looking. We like the serum for many reasons, from its ability to fade out the dark spots, acne scars or hyperpigmentation, to its performance against skin aging. It’s also great for hydrating and moisturizing the skin, but it works in an invisible way, for easier combining with other cosmetic products. Lightweight, leaving your skin healthier, younger and evener, the serum is a sure buy for many. Other serum reviews to have a look at: Nieuw 20% CE Ferulic Serum, Caudalie Vinoperfect Radiance, TruSkin Naturals.